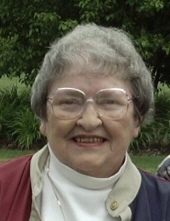 Colleen A. Prohammer, age 95 of Naperville, formerly of Park Forest, IL and Oak Ridge, TN, passed away peacefully, Saturday, January 12, 2019 at Sunrise of Naperville. She was born January 8, 1924 in Copperhill, TN to her loving late parents, James Edgar and Verdie Adams. Cherished wife of the late Frederick G. Prohammer, wedded on July 11, 1951. Beloved mother of Valerie, Leslie and Frederick, Jr. (Sandra) Prohammer. Adored grandmother of Daniel, Melissa and Erin Prohammer. Fond sister of Rebecca (the late Howard) Moss. Dear aunt of Lynne Maples. Colleen was a dedicated election judge and had a life-long love of reading and shell collecting. In lieu of flowers, memorials to: Sanibel Public Library Foundation, Sanibel Library, 770 Dunlop Road, Sanibel, FL 33957 or J.N. “Ding” Darling National Wildlife Refuge, 1 Wildlife Drive, Sanibel, FL 33957. Private visitation and services were held at Friedrich-Jones Funeral Home & Cremation Services, 44 S. Mill St., Naperville, IL. Interment at Naperville Cemetery, IL. To send flowers or a remembrance gift to the family of Colleen A. Prohammer, please visit our Tribute Store. "Email Address" would like to share the life celebration of Colleen A. Prohammer. Click on the "link" to go to share a favorite memory or leave a condolence message for the family.